“Where the two rivers meet” is both location and namesake for Kamloops, which got its name from the Secwepemc Nation word Tk’emlúps. This “meeting place” where the North and South Thompson Rivers converge is home to 85,000 Kamloopsians, but it maintains a small-town vibe with an air of sophistication. An emerging wine region is earning national accolades, and even history lessons become cultural events, like interactive theatre performed in a former sanatorium and a trip back in time paddling a 17-century-style voyageur canoe near Sun Peaks Resort. Janet Gyenes“Be a little crazy now and then.” The words are written on a note that’s stuck on the mirror in my room at Hotel 540 in Kamloops. Challenge accepted. I’m determined to eat, drink and cycle around the city, exploring its coolness and quirks, basing myself at this downtown hotel. The 1963 property has been thoroughly modernized (but the low-slung building still retains its mid-century bones) and features views of the North Thompson River, Mount Peter and Mount Paul. A taste of Kamloops is being served at the on-site restaurant, Blue Dining + Lounge, where executive chef Mitch Shafer puts together plates featuring local charcuterie and Okanagan cheese, plus Asian-inspired dishes such as the vegan Kung Pao Cauliflower. 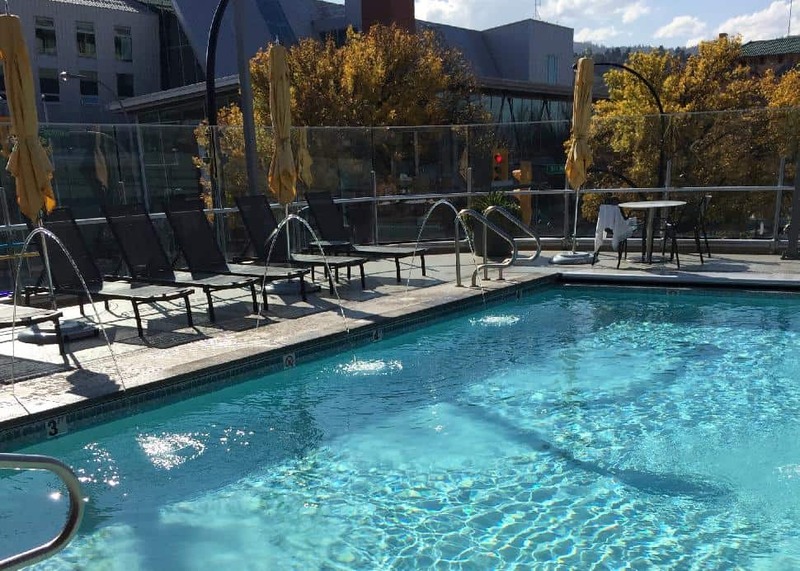 Gym rats will love the hotel’s 24-hour fitness centre, but what dazzles me more is the outdoor rooftop pool and hot tub. I indulged in a refreshing evening swim and then soaked in the hot tub, which was practically an infinity pool overflowing with guests. Extra intel: Leave your car parked at the hotel and explore Kamloops by bicycle or on foot. Janet GyenesThere’s a hive of activity just around the corner from the hotel at Hello Toast. 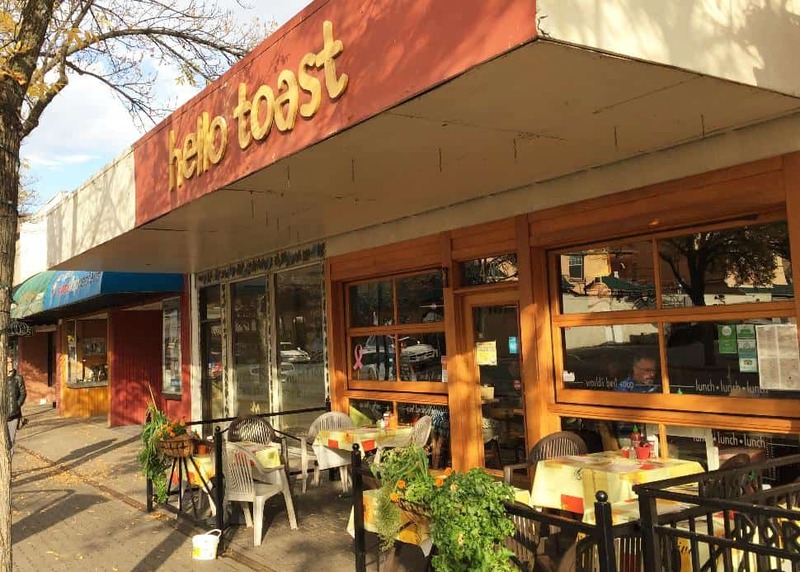 The street-front breakfast and brunch joint lures a loyal local crowd with its unfussy organic fare (no $19 avocado toast here) and homey atmosphere. You’ll find breakfast staples like huevos rancheros alongside inventive items such as the peanut jalapeño burger. 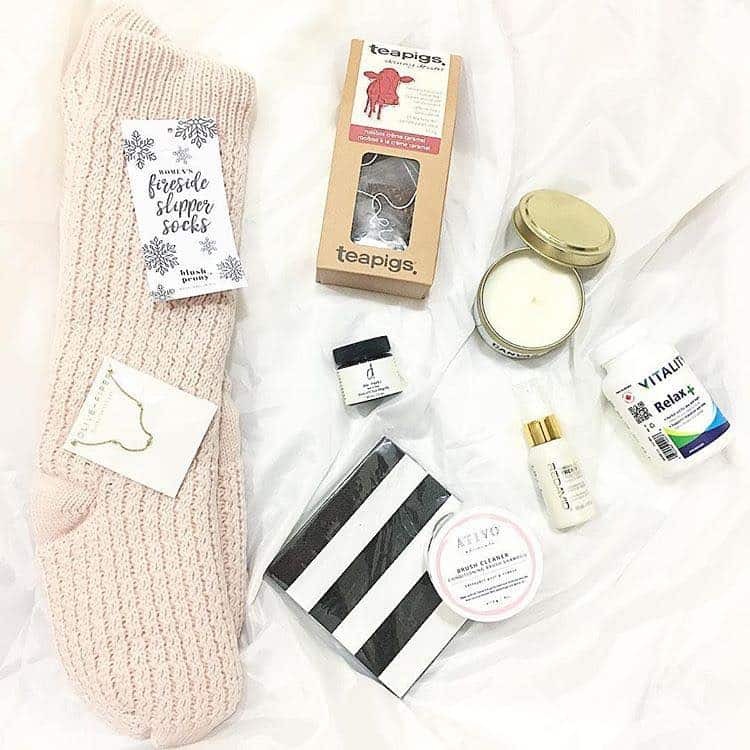 My must-have? Eggs Benny slathered with Hollandaise sauce. Hello, indeed! Extra intel: Still hungry? It’s unlikely. 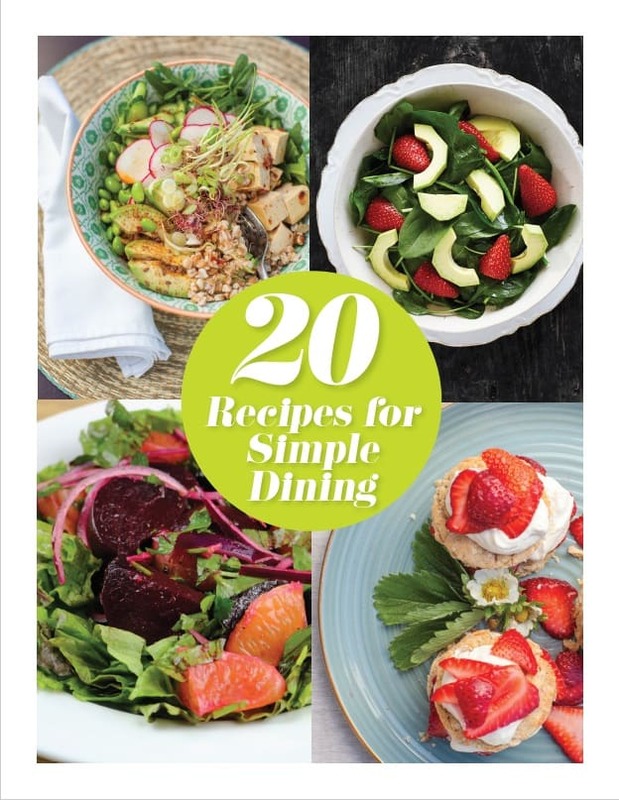 But you might want to walk off brekky with a stroll to the Kamloops Farmers Market (until late October). Meet farmers, purveyors and artisans selling their wares—from gorgeous rainbow chard and piping-hot bannock bread to handmade jewellery and pottery. Janet GyenesIf you had to distill Kamloops culture down to three words, they’d likely be: beer, bikes and music—not necessarily in that order. And the annual Brewloops Festival (September 27th to October 1st) brings that trifecta together. Now in its third season, Brewloops features fun-filled, family-friendly and (often) free events such as Fat Bike Ride on the Beach, tap takeovers, a bike ride to Kamloops’ new Iron Road Brewing, beer tastings at farmers’ markets and more. At last year’s fest, I got into the saddle for the bike crawl that started in Pioneer Park, joining crowds pedalling en masse through downtown Kamloops, stopping and sipping a local brew or two along the way. On the sun-drenched deck surrounded by sunflowers at Red Collar Brewing Co. (named for the owner’s red-collar-wearing black lab Goosey), I tasted its seasonal Afterglow IPL (India Pale Lager). Then we were off to Noble Pig Brewhouse, Kamloops’ first microbrewery. When sitting outside sampling suds and devouring crispy pickles here, check out the remnants of old tile surrounding the shaded patio. Yup, this spot was once the swimming pool of the hotel next door. Our final pedal push led us to Riverside Park, staging grounds for a group ride traversing the bridge over the Thompson River to the Red Beard Cafe, host of the fest’s final event: the Brewloops block party. 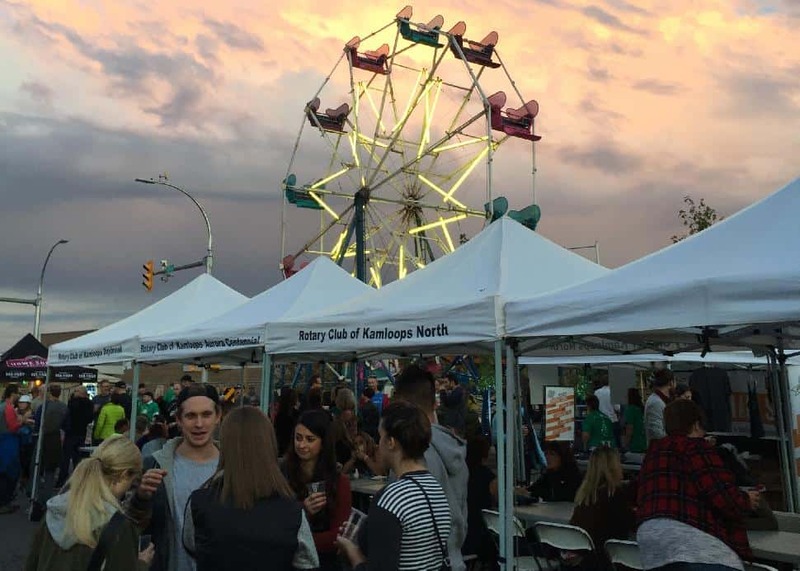 Live music, food trucks and more craft beer closed this celebration of Kamloops culture. Extra intel: Buy an extra beer ticket; it’s admission to ride the Ferris wheel. Janet GyenesKenna Cartwright Nature Park happens to be British Columbia’s largest municipal park (it covers close to 800 hectares of Mount Dufferin), but that’s just one of many superlatives for which this four-season stunner is known. 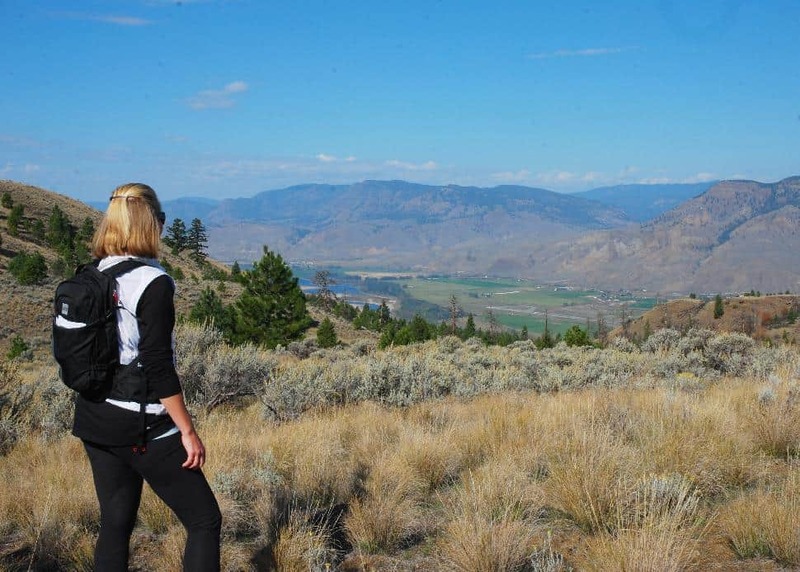 More than 40 kilometres of hiking and biking trails criss-cross the undulating landscape leading to heady views of Kamloops Lake and the confluence of the Thompson and North Thompson Rivers. Hiking is always better (and safer) with buddies, so I joined Glen Morris of Tailgate Tours for a brisk hike along the Prickly Pear Cactus Trail up to Battle Bluffs. On the 2.2-km (one-way) route, Morris shared a little history about the park, pointed out leggy sandhill cranes flying overhead as well as a few of deer quietly ruminating in the scrubby terrain. Extra intel: Watch for the park’s new offering, an outdoor amphitheatre that will host various events. 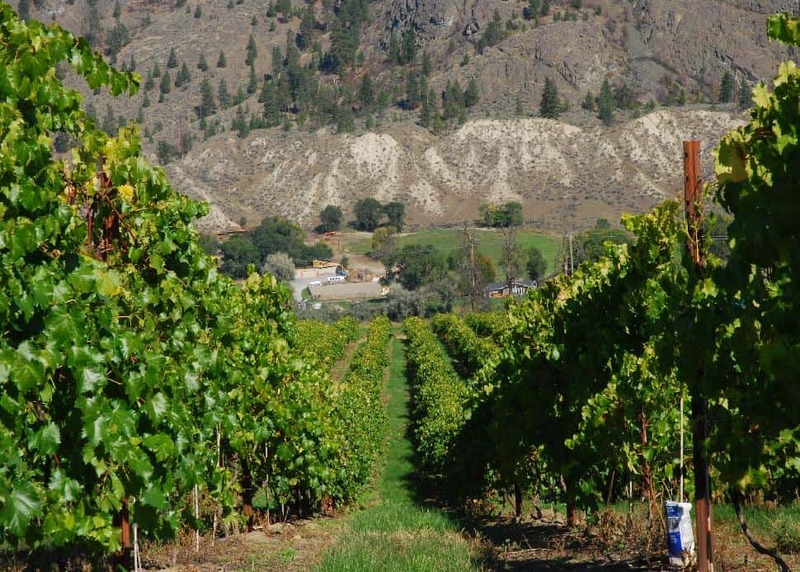 Janet GyenesKamloops is often overshadowed by B.C.’s more established wine regions, but the Thompson Valley and burgeoning Kamloops Wine Trail are edging in on the spotlight. Keeping with the car-free theme, I hopped inside a van driven by Maatje Stamp-Vincent of TasteFull Excursions and visited a quartet of wineries, starting with a guided tour of Monte Creek Ranch Winery, superbly set overlooking Lions Head bluffs and the South Thompson River. Here, I walked through the vineyards of Merlot, La Crescent and Marquette grapes, among other varietals, and past honeybee hives. Inside the winery, I sampled offerings such as the Hands Up series wines named for train robber Billy Miner who was caught by the Royal North-West Mounted Police near Kamloops in 1906. Then it was time for a midday feast: lunch on the Terrace Restaurant, with overflowing plates of artisanal cheeses, flatbreads and ultra-fresh salads showcasing B.C.’s best ingredients. It would be easy to wile away a day here, but we continued to Sagewood Winery, a serene little spot run by Doug and Shirley Thompson. In the tiny tasting room I savoured its award-winning Kerner 2013 and Dernier 2015, a late-harvest wine, then wandered among the golden grapevines, still heavy with plump fruit. Things got lively at Harper’s Trail Winery, where the affable owners Ed Collett and Vicki Collett spontaneously popped the crown cap on a not-yet-released bottle of bubbles. That’s how things are done here at Kamloops’ first winery whose namesake is Thaddeus Harper, a pioneer rancher who drove his cattle through these parts. For the Colletts, their 24-acre vineyard set on “untamed land” as they put it, “shows the promise for wine growing in the Thompson Valley.” Indeed, the wines from Harper’s Trail have consistently racked up accolades: the 2015 Cabernet Franc earned a gold medal at the 2017 National Wine Awards of Canada. Our last call for wine comes at Privato, the Italian word “private.” Its lush gardens and rambling lawns are an oasis of calm that invites visitors to linger outdoors in one of the comfy chairs. John and Debbie Woodward own this boutique winery, which focuses on producing Burgundian-style wines, like the award-winning Pinot Noir and Chardonnay I sipped in the tasting room. Extra intel: Check out the Kamloops Wine Trail website to find out about special winery events. 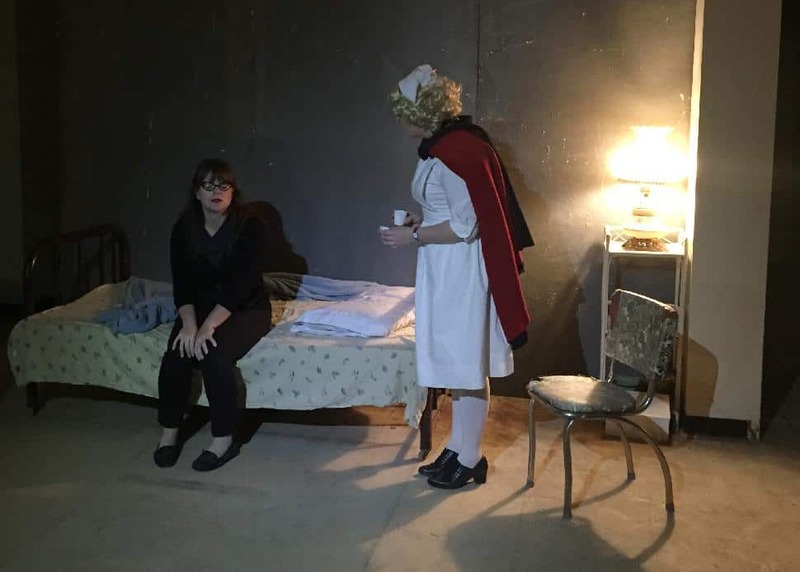 Janet GyenesA heritage farm that was once home to the King Edward Sanatorium was the spooky staging ground for Tranquille Tunnel Theatre’s performances. Along with other guests, I followed the actors who moved around the former sanatorium’s eerie buildings, narrow hallways and dim tunnels, unpacking the spine-tingling true story with aplomb. A partnership of Tranquille Farm Fresh and Chimera Theatre, Tunnel Theatre is a fascinating and fun way to delve into the culture and history of Kamloops. This year’s performance (running September 27th to October 1st), “The Witness,” tells the tale (and backstory) of Betsy Cooney, a widow who was forced by the government to sell her ranch in 1922 for a fraction of what it was worth. Extra intel: For a pre-theatre meal made with farm-fresh ingredients, along with a side of cultural gravitas, head to Brownstone Restaurant. Since 2004 the eatery has occupied the 1904 brick building where Canadian poet Robert Service once worked for the Canadian Imperial Bank of Commerce when he was down on his luck. Janet GyenesAs Canada’s second-largest ski area, Sun Peaks Resort is synonymous with snow sports. Yet I find myself headed uphill on two wheels, instead of swooshing down the slopes. TasteFull Excursions had shuttled me to my destination (a 45-minute drive from Kamloops) and new base—Sun Peaks Lodge—for the next 24-hours of autumn exploration. My two-wheel tour of the alpine village started at Elevation Bike, Ski, Board. 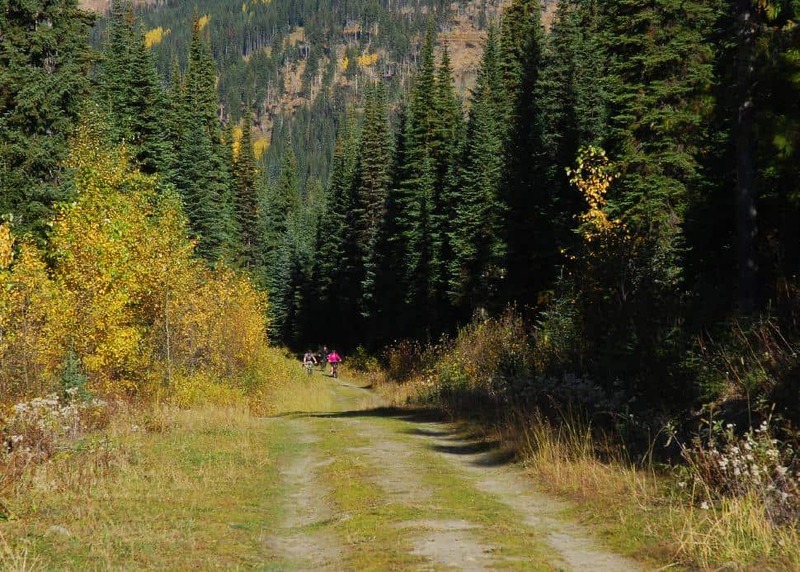 It took mere minutes for me to get outfitted with a mountain bike and start the climb on the cross-country trail to McGillivray Lake, a 10-kilometre round-trip excursion led by a guide. I felt a bit wary of encountering the bears, cougars and moose that live in the area surrounding the lake, which sits at 1,400 meters, but the wide-open spaces offer clear views so I can spot other bikers or beasts ambling along the woodsy route. In these parts, biking in the untamed wilderness probably doesn’t qualify for “little crazy.” But what happens next scratches that itch. When everyone in our small group of cyclists arrives at the sapphire lake, we start on the second leg of our adventure: paddling a 17-century-style Voyageur canoe. Campbell, our guide, is decked in traditional trapper attire (with the exception of his flip-flops) and regales us with folkloric stories of life in these parts, communing with coyotes, Canadian lynx, beavers and wolves. It’s a serene way to trip back in time while exploring an alpine lake. Extra intel: To continue the Canadiana theme, settle in amid the vintage decor at the Voyageur Bistro in Sun Peaks village and fill up on stick-to-your-ribs cuisine made of Canadian ingredients from bison to berries. Mary PutnamAs I quickened my pace walking to the Vertical Cafe for a steaming cup of Cherry Hill coffee and a breakfast wrap, I couldn’t help but notice the faint dusting of frost on the rooftops in Sun Peaks Village. It’s early October, after all, and my iPhone confirms that it’s zero degrees Celsius. No biggie—on a normal autumn morning. 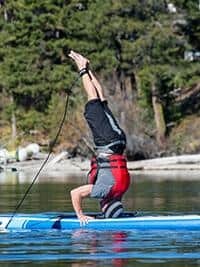 Today, however, I’m headed back down the mountain to Heffley Lake for a SUP (stand-up paddle) lesson with Bodie Shandro, proprietor of Paddle Surfit. It’s not surprising that Shandro, who was one of the first people to bring the sport to Canada, has a chilled-out vibe and a surfer background (he’s buddies with Laird Hamilton). He soon has a group of us easily skimming the surface of the shimmering lake (“walking on water” as he puts it), paddles in hand and barefoot (! ), wearing multiple layers under our life jackets. The trees have turned to gold, the lake is like a mirror reflecting their splendour. And then Shandro adds an extra bit of crazy to our frosty, yet idyllic morning, effortlessly flipping his wiry frame into a headstand on his board, leash encircling his ankle, while the rest of us stare in awe. 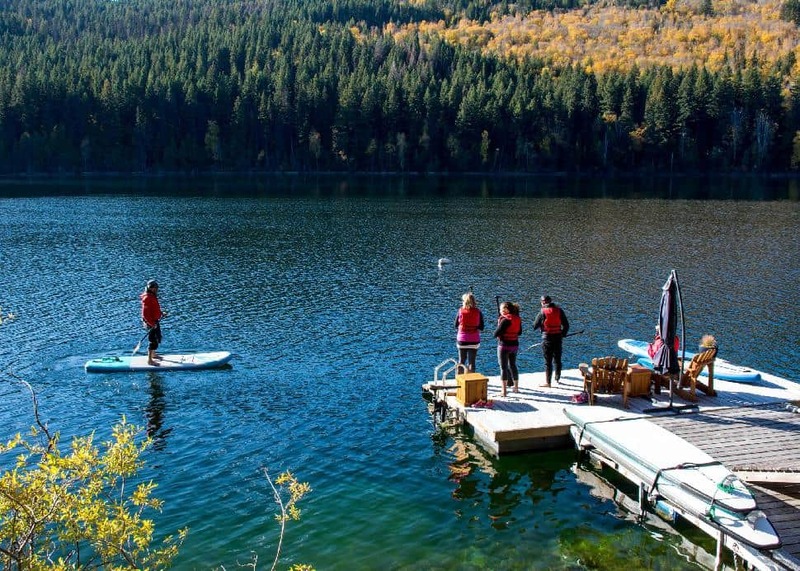 Extra intel: Amp up the SUP adventure by taking a heli-SUP tour, a first in North America.